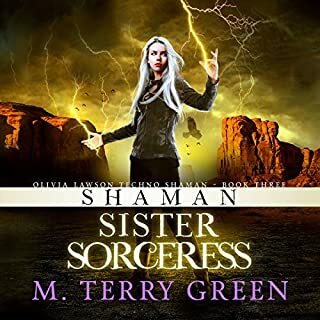 What made the experience of listening to Shaman, Sister, Sorceress the most enjoyable? If you can't do voices without being offensive don't do it. SK sounds like he is well qualified to represent the lolly pop guild. Leon sounds mentally handicapped. Coco sounds like a stereotype as well. I found the performance offensive. I half read this book after reading the first two and listening to this was almost painful. great story. very inventive and makes the unbelievable believable. Who would you have cast as narrator instead of Celia Aurora de Blas? Someone who wouldn't try to do voices if they couldn't do them well. You saw him in knights of badassdom, game of thrones, and now in Techno shaman. Really cool series. pretty bad narration, but not so bad I quit listening.